While some of the properties in Canada are large and expansive, some are also slightly small and a little bit cramped. 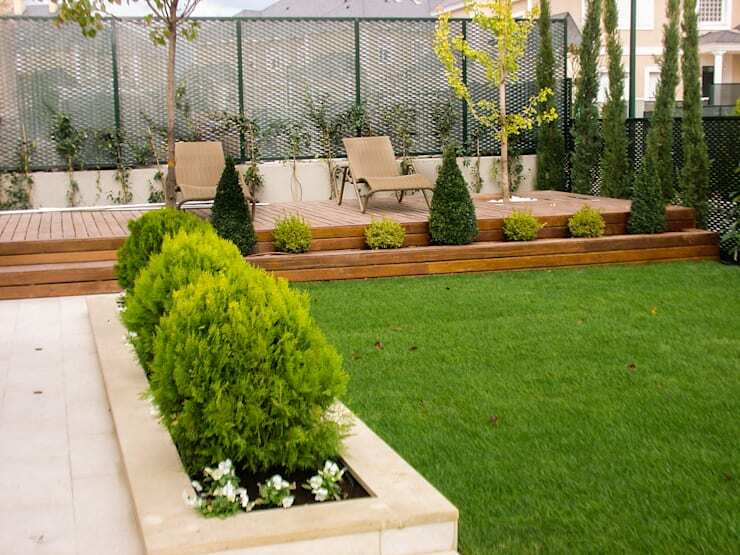 If this is the case for your home, you need to make the most of your garden space, utilizing every square inch. A little green area is very important to connect us and our homes to nature, even if it is small. It can also be used for a multitude of functions including a play area for the kids, a lovely outdoor dining space or maybe even a swimming pool. 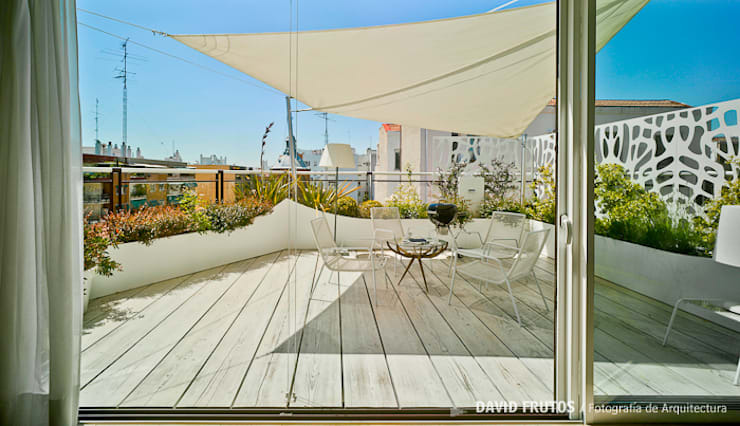 No matter what you use your small courtyard for, you want it to look beautiful. 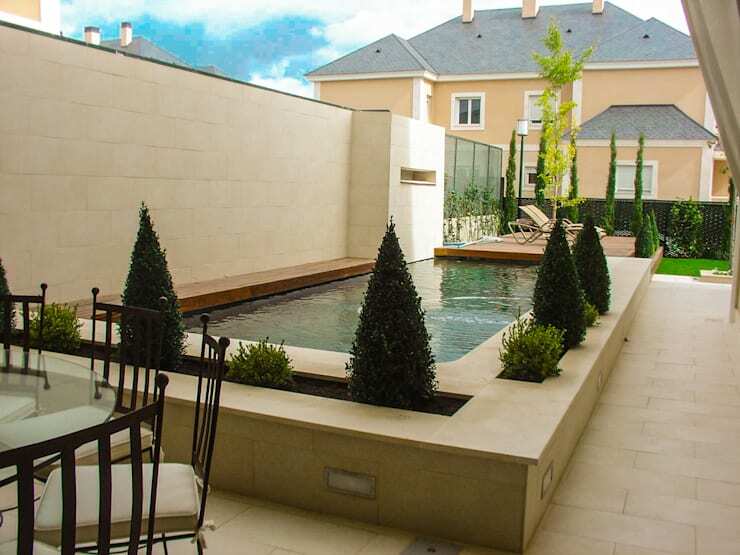 This why at homify, we are showing you 15 small gardens created with the planters. Some of these gardens have been constructed along a walls, some are made of wood or some are simply defined by materials such as stone. What they all have in common, however, is how beautiful and innovative they are, showing us that you don't need to be constrained by space. What do you think of this bamboo plant holder, which rests on the top of the wooden fence? This adds a very unique and rustic twist to the garden or terrace! 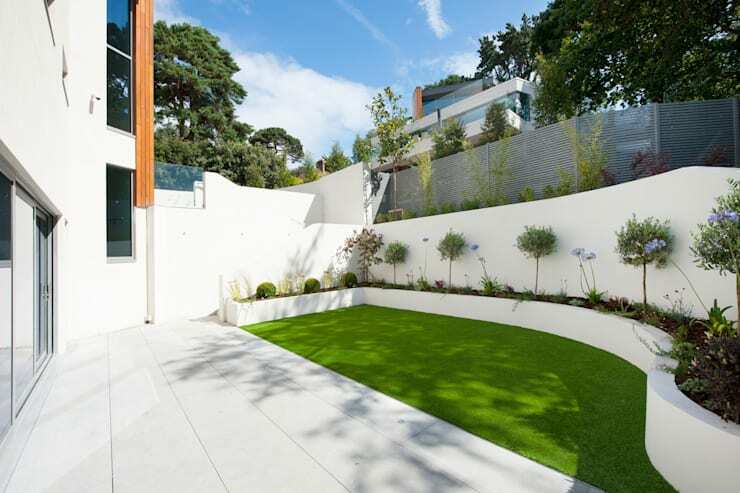 In a little garden, a simple grassy lawn space has been spruced up by a stark and contrasting white wall, which runs along the perimeter of the area. The designers have placed different types of plants along the perimeter of the wall, creating a contrast between the green and the white. The details make the garden that much more interesting, while the plants add height and depth to the space. Don't you love the ceramic walls that have been used to house the planters along the perimeter of this garden? If you can make it happen, use your small garden to install a swimming pool. Add plants around the pool to bring a touch of nature to the space. Speaking of pools, have a look at these 5 pools that were perfectly transformed. 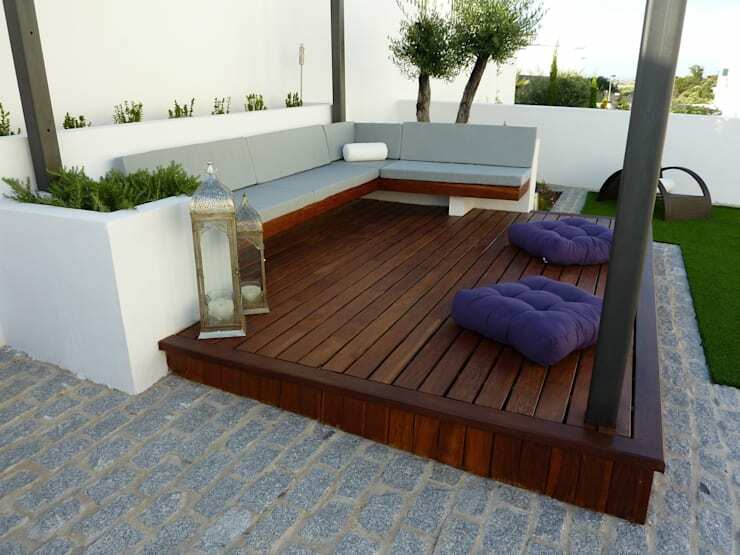 A small garden can be completely transformed with a few seats and a table, which provide a comfortable area for relaxing among the natural beauty of the space. 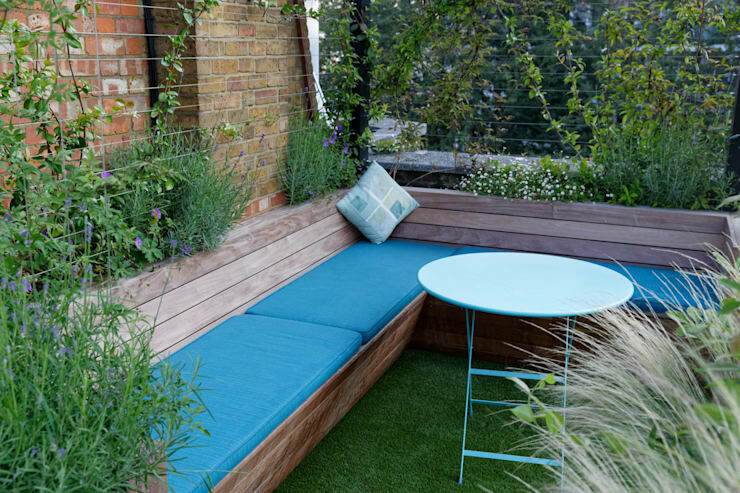 This wooden bench works in harmony with the lush plants and trees, while the bright cushions add a bit of vibrancy to the space. 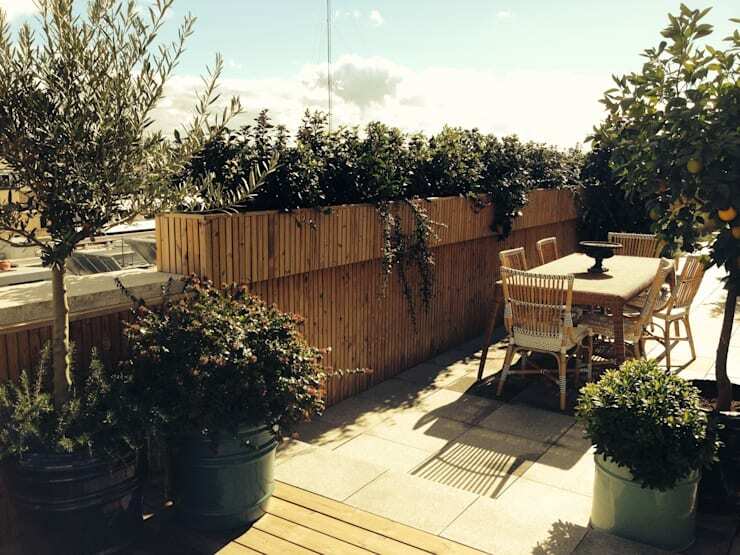 In fact, plants are a natural way to decorate a terrace area. Use them to add colour and life to the space. 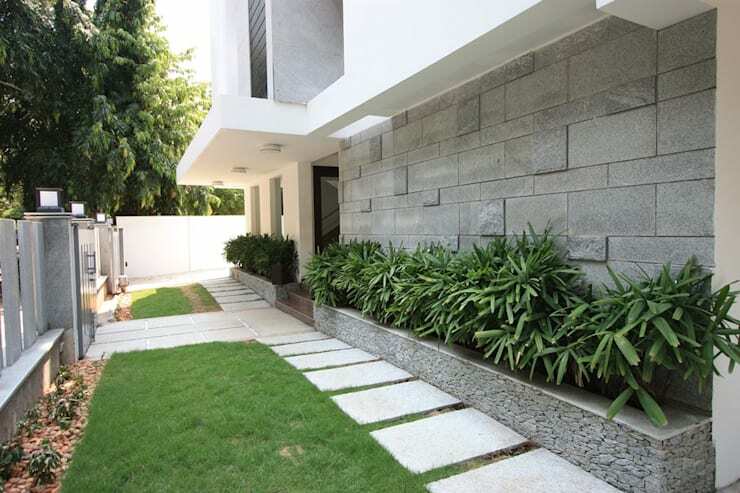 Enhance your garden by using stones to define the planters as the designers have done here. The white also contrasts beautifully with the green. If you have a tiny garden but you want to add some greenery, this a great example of a solution. It makes a huge difference and will spice up any Canadian courtyard! 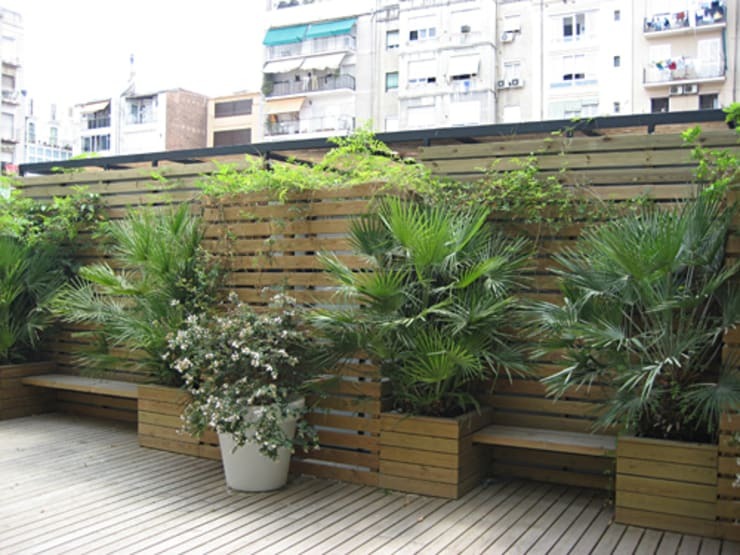 Enhance your wooden deck or terrace area by creating a vertical garden. You'll take up no floor space, while still creating the perfect space for your planters! Use planters to offset more rough or raw materials, tones or textures. In this image, we can see how a concrete staircase is made more beautiful and more colourful thanks to the planters that run alongside it. Choose the same plants to create a uniform, neat and subtle form of decor and design. The fact that all of these planters in this image are the same height and the same distance apart makes for an aesthetically appealing look and feel. If your small garden has an irregular shape, use plants along the perimetre to create a banister, doubling up functionality with style. 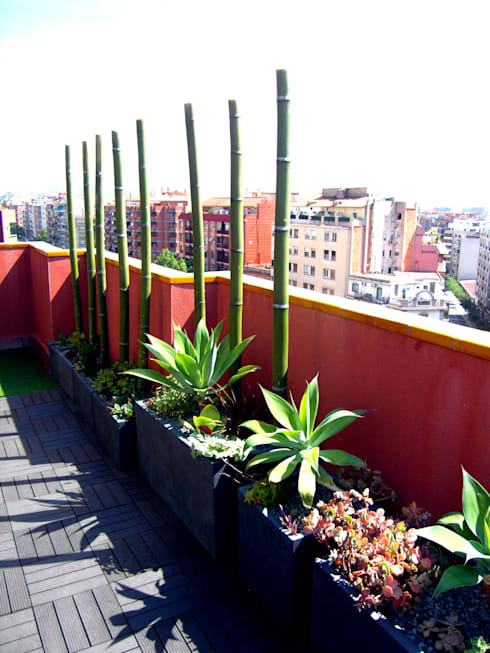 As we can see in this image, colourful plants of varying heights create a very unique looking fence. 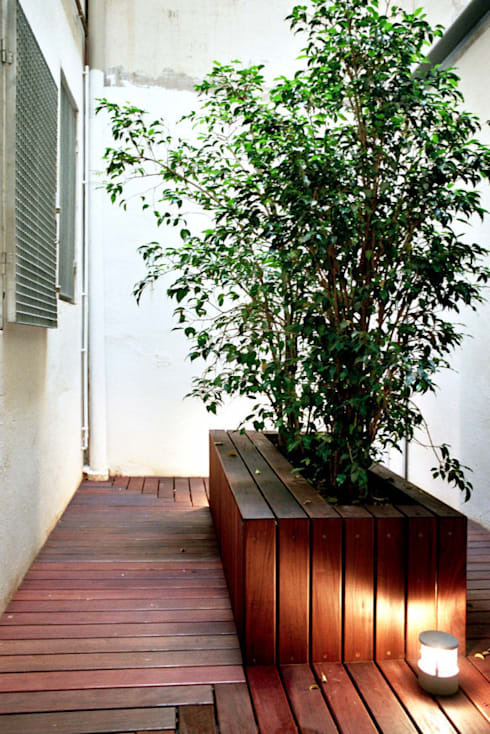 This is a great way to introduce a small garden while enhancing the existing space. 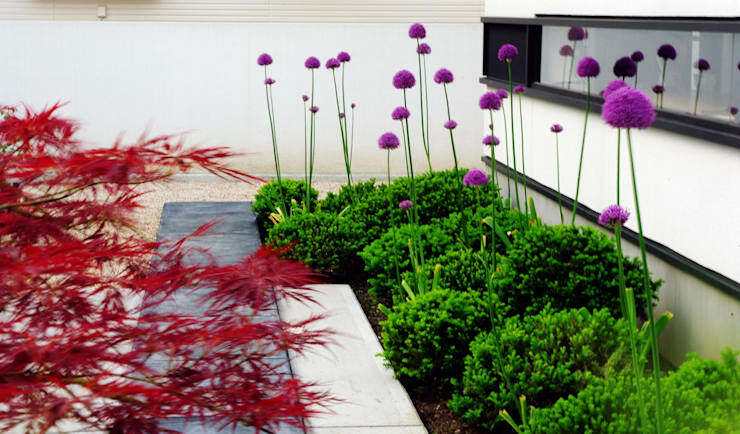 Use the space at the front of your home to create a beautiful garden, enhancing your facade. While this space may not be very big, it makes for a very interesting entrance, ensuring that your home is that much more welcoming. 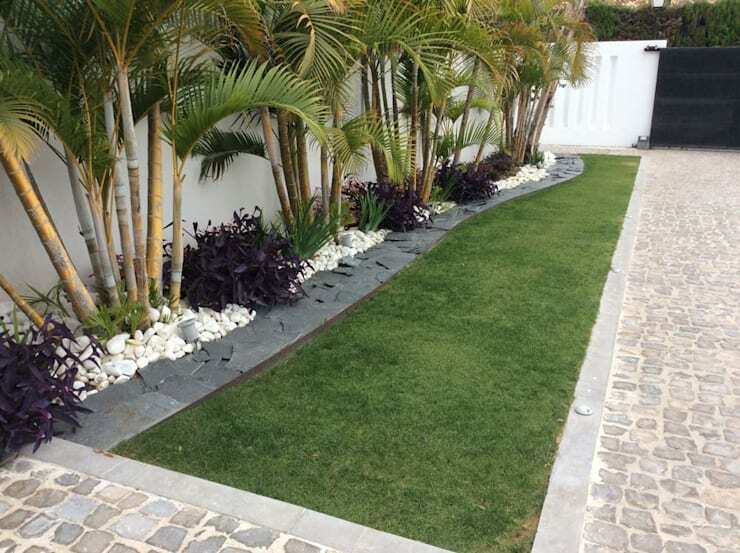 Use plants like the designers have done here to reinforce the beauty of the surrounds. 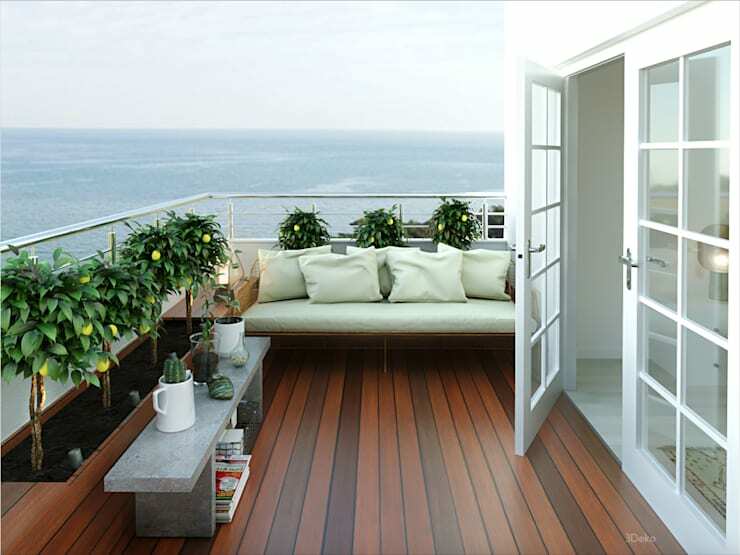 The plants also contrast beautifully with a wooden terrace and white furniture. Tip: Don't be afraid to do something different with your planters. Opt for fruit trees to add a bit of natural colour and vibrancy to the space. If you have limited space, show off with some colours! Bring different species of plants into the look and feel and get creative with the colours! 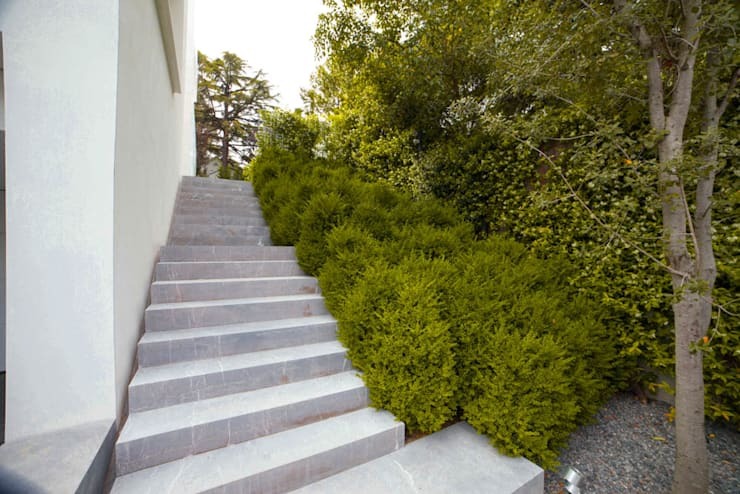 Even if your garden is just a passageway to the front door, it will make this space look terrific. Also have a look at this incredible transformation of a small garden to see how easy it is to make your garden look that much more appealing!